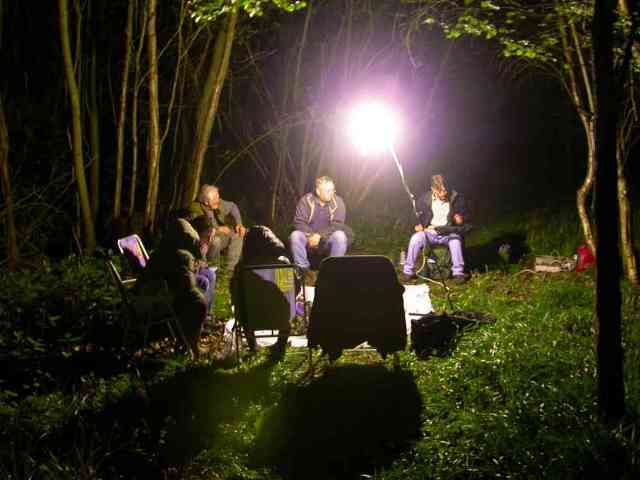 In Moth-trapping Part I we looked at the various types of moth trap and light sources available, together with some essential extra accessories. We will now explore where and when is best to use them and to look at a few other more traditional methods of attracting and locating moths. If regular, long-term trapping is planned in your own garden, it may be a good idea to trap either once a week or at most every other night, so to give the resident moths a chance to feed, mate and lay eggs without the constant distraction of a bright artificial light. Those of us lucky enough to be living on or near the coast, may want to trap for several nights in a row if the weather conditions at that time are suitable for the arrival of migrant moths. If this is the case, try to have few nights off once the relevant weather pattern has subsided. During prolonged warm periods in mid-summer it is very tempting to trap every night, as those much wanted 'new for the garden' species keep turning up, one after the other. It may be a good idea during such favourable conditions to go field trapping in your local woodland, heath or marsh instead, giving your garden a rest. Robinson trap set-up in Northumberland garden (photo: Stewart Sexton). Moth traps can be used safely in most types of habitat. The number one priority when looking at field-trapping possibilities is obtaining permission from the landowner. This is doubly important if considering land already protected by either reserve or SSSI status. Most wildlife trusts, the National Trust, the RSPB, Forestry Commission and councils will give you advance permission if you present your wishes and plan in good time and offer them a full list of species recorded following your visit. The second priority is health and safety. This may seem like common sense but when working under darkness, with more than one person it is best to have a short discussion even before setting up, what each person will do and to make sure all the equipment is in good order. 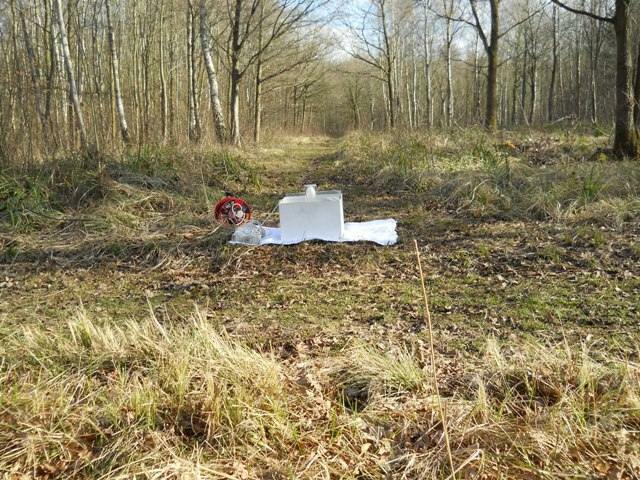 If planning to use several traps, make sure you arrive on site a good hour and a half before dusk and have a walk round the intended survey area while still fully light, to check out the best habitat and any pitfalls or safety hazards. Try to lay cables along the edge of paths where everybody can see them. If you are not planning to stay all night, foresee the difficulties that may be encountered when packing up in the dark. Skinner Trap at junction of rides in woodland (photo: Steve Whitehouse). 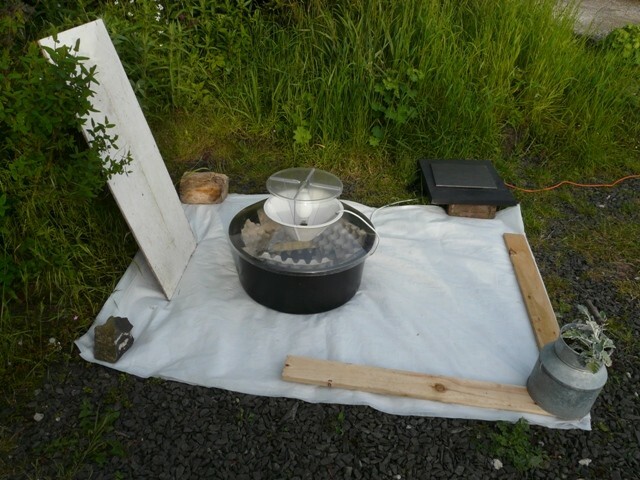 Field trapping is best done on calm, warm and cloudy nights when the night temperature will remain relatively constant and ensure a good supply of moths to the traps. Drizzle or light rain should not to be snubbed, as catches in such weather can be very good. Large umbrellas can be placed over one side of the trap set-up for a time, keeping the equipment dry and still allowing moths to arrive, though some moths will prefer to settle on the underside of the umbrella! The phases of the moon can have an effect on the number of flying moths — it has been found that during the summer months at least, it may be wiser to place your traps under the tree canopy if it is clear and the moon is full. 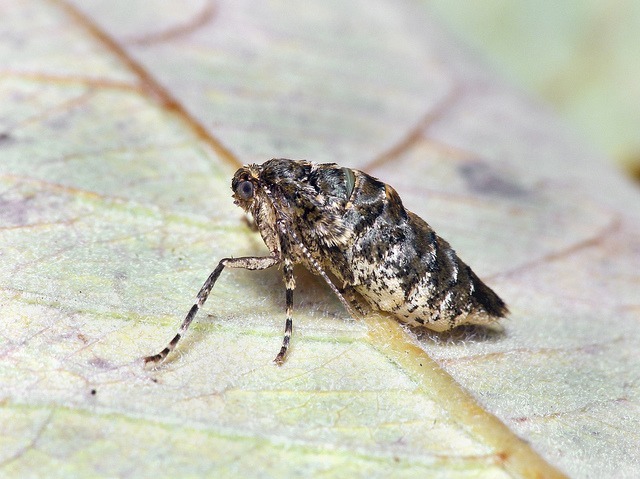 Wind is not good for field moth-ing and in some open habitats such as moorland, sand dune or salt marsh it may be unavoidable, so look out for any natural shelter breaks on site. You can normally find sheltered spots in woodland or behind thick hedges amongst marsh or heath. Positioning of traps is very important when trying to assess the range of species present at a site. In optimum conditions, try to place Skinner and Robinson MV bulb traps at crossroads on rides in woodland. Actinics are better employed well under the canopy or amongst the under-story. Battery-powered Actinics can be placed well away from a generator in very specialised habitats or vegetation types. 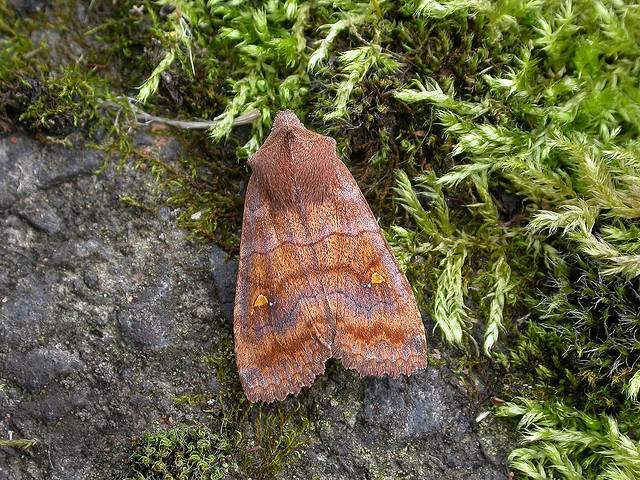 It has been found that some fast, direct flyers such as Noctuids are more likely to use rides than Geometrids, which tend to prefer the areas under the canopy. Don't ignore conifers when in mixed woodland, as the under-story below firs and pines can be quite different to that under broad-leaved species and hold different moths. Remember that in wetlands, water will make the air above it much colder, so by placing your traps a few meters away, you should still attract the wetland species as well as peripheral ones. Try to position the trap well above the level of thick vegetation such as on a bund, dyke or boardwalk for best results. Time of year should also be considered. Broad-leaved and mixed woodland can be very good from early March right through to November. More open habitats such as grassland, heath and moorland are best visited from mid-April to mid-September while coastal beaches, cliffs, dunes and saltmarsh don't tend to start to come into their own until late May. Wetlands are best visited from mid-June to mid-August. 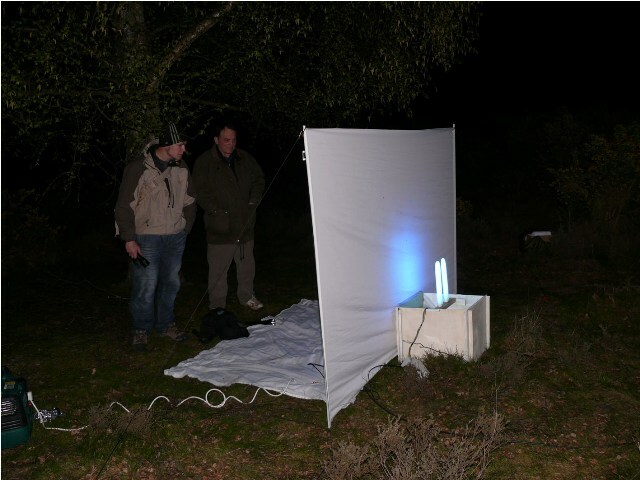 White sheet and tripod/MV bulb set-up (photo: Steve Whitehouse). There are two popular ways in which MV bulbs can be used with white sheets. 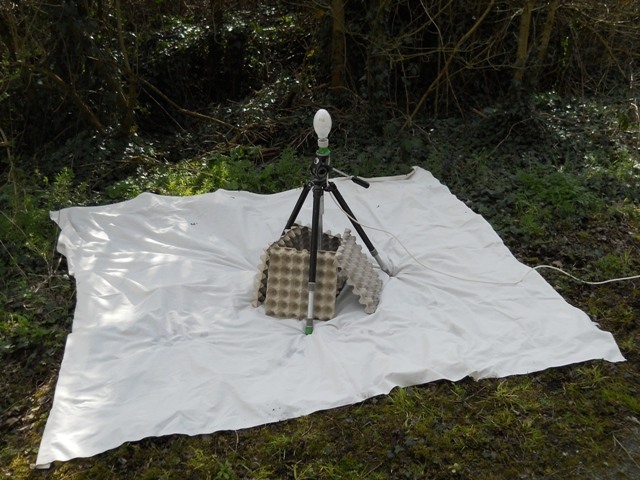 Firstly, a large white sheet is spread on the ground with an MV bulb attached in its holder to the top of a tripod. It is then positioned centrally with a cluster of egg trays around its base. Even though not contained, many of the moths still end up in the egg trays. Of course, for recording purposes this tripod and sheet method has to be permanently manned so as not to miss moths that only come in for a short time and then depart. Plastic pots can be used for safe temporary housing. This method is great for social moth-ing where on long nights, one can sit around the periphery identifying and talking about moths. Suffolk Moth Group around white sheet and tripod/MV Bulb set-up at Covehithe, Suffolk (photo: Jon Clifton). Another good method is attaching a white sheet to a narrow bamboo pole at each end and erecting this upright with guy-ropes so that the sheet is held vertically. 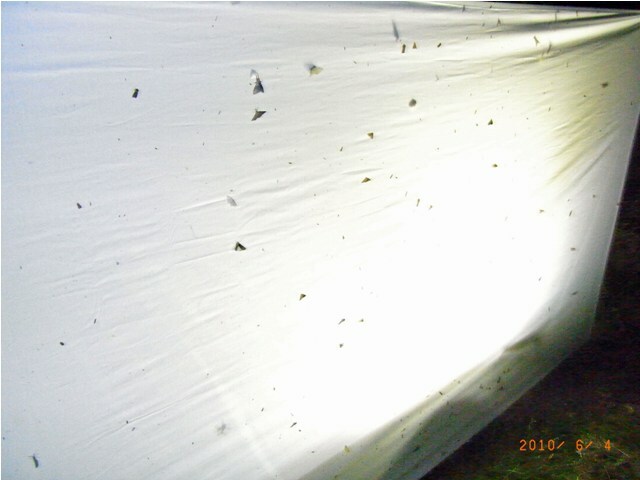 Many moth-ers have found that having an MV bulb suspended on one side and an actinic on the other, maximises the number of species attracted to the sheet. Inspection of the catch is very easy and this is a great way for disabled people to see the moths close up in a natural resting position. Catches using this method can sometimes be visually quite spectacular. Vertical white sheet at Kinver Edge, April 2010 (photo: D Grundy). Moths on vertical white sheet (photo: Darren Taylor). Other field techniques include 'tree-trunking' and 'torching'. This is simply walking around woodland after dark with a strong torch looking at tree trunks for resting moths. This can be done on its own at times of the year when the number of moth species on the wing is small — between November and March. This is the best time to see the species which have flightless females, which are waiting on the tree trunks to be mated. It can also be done when operating light traps. Many moths are attracted to UV light but actually fall short of the trap or sheet and land on nearby vegetation. You can be amazed what may be sitting just 2 or 3 metres from the trap and would go unnoticed unless actively looked for. This is particularly important when amongst dense low understory such as heather. Female Scarce Umber (photo: Patrick Clement). Regular 'sugaring' of a fence-post or tree-trunk can produce some attractive species that may return to feed at the same energy source night after night. This is best done through the autumn, on milder winter nights and in early spring when natural nectar sources are scarcer. 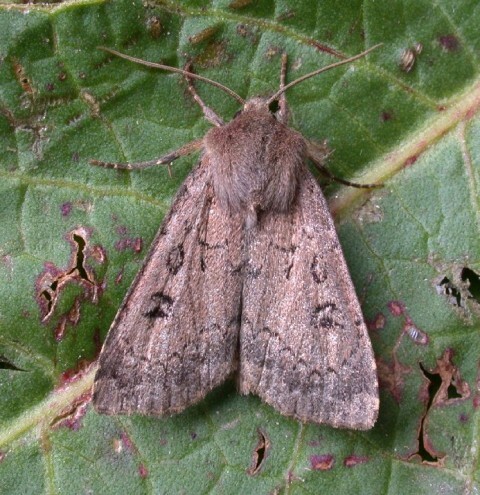 The 'sugar' recipe of black treacle, Muscovado sugar, Newcastle Brown Ale and a dash of rum is a favourite, especially amongst some of the larger late-summer noctuids, such as the Copper Underwings, the Red Underwings and Old Lady. Mashed up, over ripe fruit such as bananas, pears and grapes can also be added, together with boiled sweet extract like 'pear drops'. Later in the winter, Satellitesand various chestnuts can sometimes be attracted in surprising numbers. The best results are obtained about an hour after dusk with a careful approach, using a red-filtered torch beam to avoid surprising the wary moths from their ready meal. Some rarer species of dart that are seldom seen at light readily come to sugar. 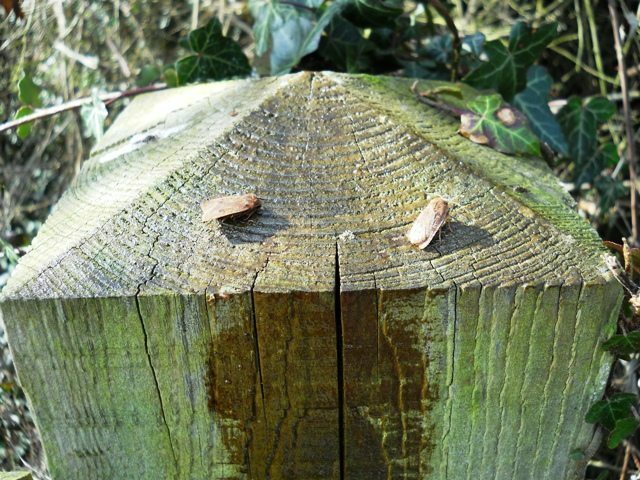 Sugared top of post with Dark Chestnut and Chestnut feeding on 'sugar' (photo: Steve Whitehouse). Double Dart attracted to sugar in Inverness-shire (photo: contributed). The Satellite is one of the most frequent visitors to 'sugar' in the late autumn to early spring period (photo: Patrick Clement). 'Wine Ropes' are another old favourite with traditional lepidopterists. Natural fibre ropes are best, so if you are unsure it is wise to boil any rope in water to remover any chemical preservatives. The wine recipe is simple; cheap red wine and saturated sugar solution in equal amounts. The wine ropes need to be soaked in the solution for at least 48 hours. Hang lengths of up to a metre amongst bushes, low tree branches and taller marsh vegetation for best results. Other methods of attracting moths include using a temporary captive female moth, perhaps reared from a larva found the previous year, to 'advertise' her presence from an assembling cage. This can be the best way of seeing some male, day-flying moths such as the Emperor Moth. See the previous webzine article for more details. The above technique is reliant on the female using her natural pheromone which can be detected by the male from some distance. Artificial pheromones, which can be bought from commercial suppliers such as Anglian Lepidopterist Supplies, can also be used to attract male moths to a lure. These have been particularly successful with clearwing moths, but can also be used for species such as Chamomile Shark, Pine-tree Lappet and many Tortrix moths. See the previous webzine article for more details. 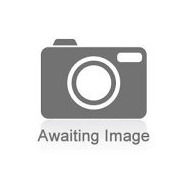 Most moth-ers will already be used to carrying the Waring, Townsend and Lewington Field Guide to the Moths of Great Britain and Ireland with them either on local field trips, excursions or holidays. Although brilliant at home or even in the car, this can be a bit awkward to use in the dark and especially during adverse weather or amongst difficult terrain. One very recent and revolutionary field alternative is the BirdGuides Moth App. This is much easier to use in the field, as it is obviously compact, covers nearly all the British moth species in a single reference source, has numerous photographs of each species and does not require a torch or a carry bag. So, having sorted out which type of trap, light and power source you want use and got together all your essential items of peripheral equipment, all you need now is a safe trapping site, some good weather and... some moths. Good Luck for 2011.